These are just cute and funny. Put all the cupcakes ingedients together and beat them with an electric mixer for 2-3 minutes. Put the batter into 6 terracotta mini jar. Cook at 180 g for 25 minutes, or until a knife inserted in the center will come out clean. 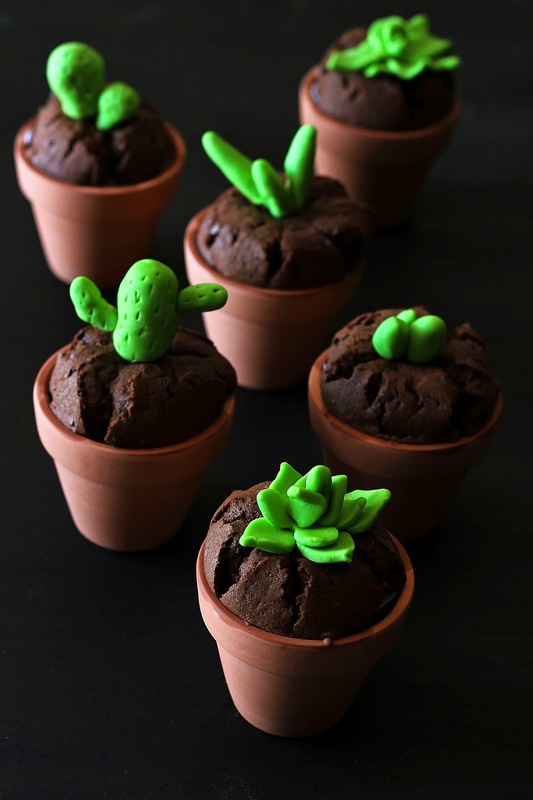 Let cool and decorate with green sugar dought forming different kind of cactus.